The "Chevrolet Malibu" nameplate has been a part of the automotive market for quite some time now, and not long ago the eighth generation Malibu made its debut as what appears to be the most ambitious Chevrolet Malibu when it comes to availability. 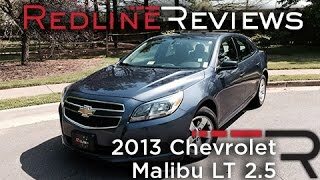 GM is planning on making the 2013 Chevrolet Malibu available in nearly 100 countries, so if you're planning on buying a Malibu in the near future stick around and you'll find out all there is about it. First, let's take a look under the bonnet. 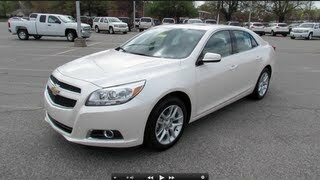 Interestingly enough, the first 2013 Chevrolet Malibu variant made available on the U.S. market is the Malibu Eco which is a mild-hybrid car. 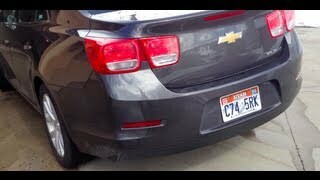 The Malibu Eco sports a 2.4 liter Ecotec Direct Injection 4-cylinder engine able to produce 182 horsepower. The gas engine is paired with a 15 kw electric motor which will automatically take over control once the car is slowing down or is stopped. 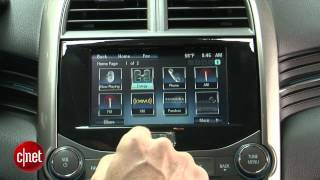 The Chevrolet Malibu Eco is capable of accelerating from 0 to 60 in 8.7 seconds and as far as fuel efficiency goes, GM states that the Malibu Eco can cover 25 mpg in city and 37 mpg on the highway. 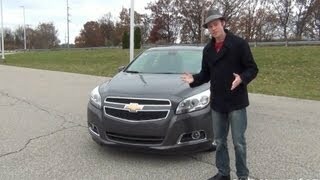 On the transmission section, the 2013 Chevrolet Malibu will sport a six-speed automatic gearbox. Although only the 2013 Chevrolet Malibu Eco is currently available on the U.S. market, GM is planning on launching other non-hybrid variants as well, including a 2.0 liter turbocharged variant able to produce 259 horsepower. Standard equipment includes 4-wheel antilock disk brakes, dual-zone automatic climate control, a set of 17 inch aluminum wheels, heated power-adjustable mirrors, cruise control, remote keyless entry, a multifunctional 3-spoke steering wheel, front 2-way power seats with reclining seatbacks and adjustable head restraints, Chevrolet MyLink Touch radio featuring a 7-inch color touchscreen Bluetooth and smartphone integration, 6-speaker sound system and front, thorax and knee airbags. Optional extras include a premium 8-speaker sound system, 7 inch navigation system, 8-way power front seats featuring heating and lumbar control, leather-wrapped steering wheel and shift knob, a sunroof, rear vision camera, remote vehicle starter system and foglamps, just to name a few. As for pricing and availability, the Chevrolet Malibu 2013 Eco is currently sold on the U.S. market at the estimated price of $25,235. As for the turbocharged variant, supposedly GM is planning on making it available later this year for the estimated price roughly $25,000.